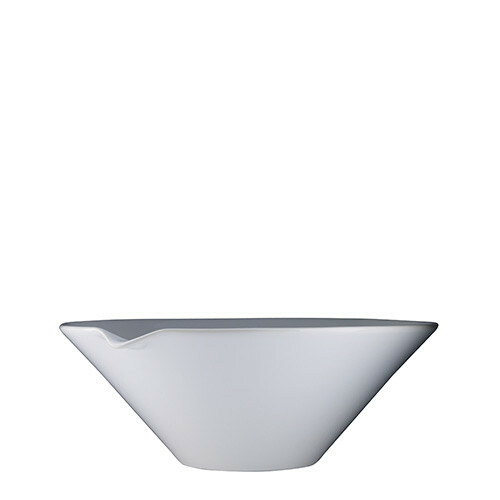 Still Life Spillkum, bowl with spout, 23cm diam || Design: Kristina Stark. When you have everything...or nothing. Regardless, Still Life items are probably the only items you may need. Neither more nor less - the essentials. Soft, subtle and down to earth. For everyday use. Made to last. Still Life Spillkum is a multi purpose bowl with spout, made for blending, pouring and serving. Still Life Spilkum is an addition to the Still Life Set which was launched during autumn 2015. Still Life contains handmade pieces in natural and plain materials, shapes and colours. The Still Life Spillkum is available in two sizes and four colours. The colours are down to earth and classic; white, sand, terracotta and stone. The bowls are handmade in stoneware, highfired in about 1 300 degrees. Dishwasher, oven and microwave safe. In February 2016 Still Life was awarded the Elle Decoration Swedish Design Awards 2016.